How is the Scoville Heat Unit or SHU calculated? The “…” means that this calculation continues for all chemicals found in peppers that are spicy. The 0.9375 in front of Dihydrocapsaicin means that it is 0.9375 times as hot as capsaicin. Other chemicals like Nordihydrocapsaicin, Homodihydrocapsaicin, and Homocapsaicin also exist. Some tests account for them, others do not. To make the article easier to read, from now on, I will refer to the weighted mass of all capsaicinoids as “capsaicin”. No matter what the test is, it is taking a sample of dried pepper and finding out what percentage of capsaicin it has. It’s a nice and convenient way to tell a person how hot your pepper is, and it gives us an idea of what we can handle or enjoy. Let’s say that I’m making a hot sauce. I want to advertise how hot it is, so I go get it tested. To do the test, the sauce is dehydrated, the dehydrated powder is then tested, and the result is a SHU of 1,300,240. The problem is that in the production of this sauce, I added 1 part vinegar for every part of pepper. During the dehydration process this vinegar is evaporated. Including the vinegar would mean that the sauce should feel more like 500,120 SHU. I also used fresh pepper in the making of this sauce. Fresh peppers are typically 90% water. Including that, the sauce should feel like 50,012 SHU according to the definition of the SHU. In the above example, one company may claim the sauce is 1,300,240 SHU, another may claim to be 500,120 SHU because they know that it’s diluted, and another may say 50,012 SHU. They are true in some ways, but which one is more true? In my opinion, the last value is the most true and honest value. The next example will explain why I think so. Let’s say that I grow two types of peppers that are both competing for the record of the hottest pepper in the world, and they both test at about 2,000,000 SHU. One of them, Pepper A, is a thick walled meaty pepper with 80% water and the other, Pepper B, is a thin walled juicy pepper with 95% water. Pepper A has a difference in weight between fresh and dry of 5x; Pepper B has a difference of 20x. Put simply, Pepper A feels like 400,000 SHU when eaten fresh while Pepper B feels like 100,000 SHU when eaten fresh. This means that Pepper B would have to have a measured SHU of 4 times that of Pepper A in order to be as hot when eaten fresh. This discrepancy in water content matters for sauce manufacturers and anyone buying fresh peppers. Some manufacturers want to use the hottest peppers in the world to make the hottest sauces and many consumers may want to try the hottest pepper in the world fresh. By just using SHU, they may be tricked into using a Pepper B instead of a Pepper A. The real world example may not be so extreme, but it exists. The Carolina Reaper is a very thin walled pepper with a high percentage of water, a Pepper B. Many claim that there are hotter peppers around, the Chocolate Bhutlah is one such example, but testing for the Scoville of the pepper still puts the Carolina Reaper in the lead. The Chocolate Bhutlah is a big meaty pepper. It is a Pepper A. So what? You’re over thinking this. Hot is hot. With the current trend, World Record seeking breeders are going to only breed thin walled peppers with high water content. Thin walls allow the pepper to dry to a lighter weight, while the high water content dilutes capsaicin that may negatively affect the fruit development at a high enough level. This will replace flavorful oils with water, and over time the record pepper will also be some of the blandest. Is this what we want in our sauces? I want variety and flavor. I imagine that sauce makers want this too. By breeding only for thin walls with high water content, we also ignore peppers that may very well be hotter when eaten fresh; hotter when used in a sauce. How can we focus on fresh, when the tests measure dry? I think I have a solution to all of this. I don’t think that the Scoville scale is broken, but it lacks vital information. This information is simply how much mass the pepper loses when dried. I propose that anyone who wants to advertise the heat of a pepper using true numbers should also include a second number that is either fresh mass divided by dry mass (smaller would be better for sauces), or dry mass divided by fresh mass (larger would be better for sauces). To get the fresh SHU equivalent of the fresh pepper, you would divide the SHU of the pepper with the former or multiply the SHU with the latter. I prefer the fresh mass divided by dry mass as the standard because it is a number greater than 1, so it is more intuitive than dry mass divided by fresh mass, which is between 0 and 1. In my head, I use the term “D-Value”, for drying value. I will use “D-Value” going further to refer to fresh mass divided by dry mass. A pepper with 90% water has a D-Value of 10, 80% water gives you a D-Value of 5, and 95% water gives you a D-Value of 20. A pepper with 2,000,000 tested SHU and a D-Value of 5 will feel like 400,000 SHU when used fresh or in a sauce, while one with a D-Value of 20 will feel like 100,000 SHU when used fresh or in a sauce. Powders and dry pepper have a D-Value of 1. The inevitable binaries created and solved by the D-Value. 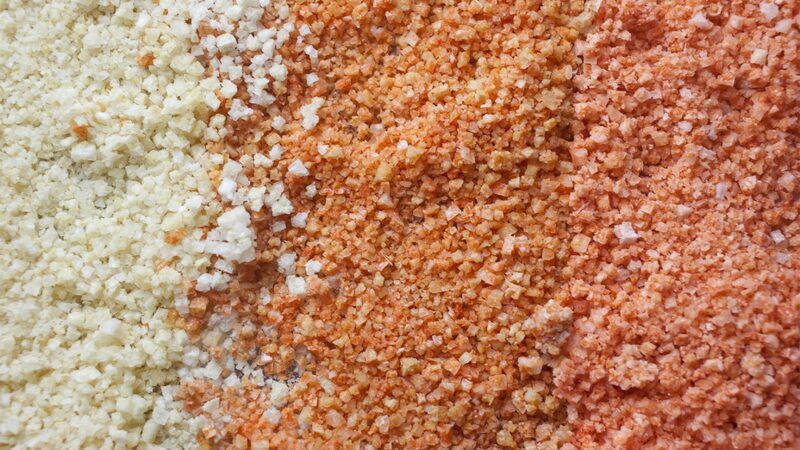 For dry pepper and powders, we will want a high SHU. These are mainly used for bringing up the heat of dishes, so the amount of capsaicin per dried weight of pepper is what matters when talking about record breaking pepper. For fresh peppers, it is important to look at SHU/(D-Value). This gives us a real sense of the true heat of a sauce or pepper without having to jump through hoops to figure out how hot a sauce REALLY is. Currently, there are two categories of products that use SHU in completely different ways, making it difficult to compare them. Powders and products made with pure capsaicin is one, products made with fresh pepper is the other. The product made with fresh peppers may have an equal SHU as a powder or product made with pure capsaicin, but they will be about between 5 and 20 times more mild. The D-Value allows us to correct this and truly compare the heat of these two categories by accounting for water in pepper or product. The Scoville Heat Unit is a great standard for making powders, or using capsaicin in its pure form, but it will limit variety in the super hot market. The Carolina Reaper will never be overtaken by a thick walled pepper in the Guiness Book of World Records, but sauces made from thick walled peppers could very well be hotter than a sauce from a Carolina Reaper could ever be. The D-Value is a standard that just makes sense as more and more people are seeking new and hotter sauces. It costs very little money and time to calculate a D-Value and a margin of error can be calculated with increasing sample sizes grown in different locations. Unlike SHU, anybody with an oven or time can calculate the D-Value of what they grow. With the D-Value, sauce manufacturers can have a more accurate understanding about how hot a fresh pepper will be, and consumers will have a standard that allows for a more defined understanding of what they are buying, whether it’s a sauce, pepper, powder, or other product that contains capsaicin. Edit 1: Changed the word “taste” to “feel” when referring to the relative burn of a pepper.